The Black Film Guild is a 501(c)(3) created by Walter Wallace, an Oakland writer, cinematographer and editor with a drive to be the change he wants to see in the world. The Black Film Guild was created to educate local bay area creators with the technical skills needed to learn photography and filmmaking. The Black Film Guild is equipt with motion picture film equipment, cameras, and lighting which allows members of the local community to get hands-on training and expert level knowledge to work on set with professional film crews. 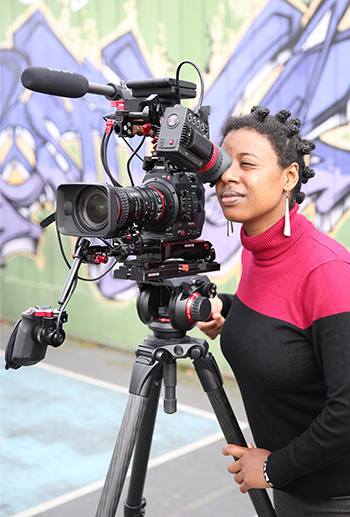 The mission of the Black Film Guild is to train and educate as many people as possible on the technical aspects of filmmaking and making sure they are prepared to talk about cameras and filmmaking to the highest degree. This mission will be carried out through workshops, job training, online training courses, and in-person tutoring.